Twelve-year-old Leslie Mezei, a lively, curious boy, doesn’t realize how precarious his life is as a Jew in German-occupied Hungary in 1944. His older sister Magda, aware of the growing danger from Nazis and Hungarian fascists, takes charge and bravely tries to direct the family’s survival, while his sister Klari, tough and determined, faces a brutal ordeal of her own. Confronting deportation, concentration camps and the constant threat of capture, the Mezei siblings carefully navigate the treacherous landscape of wartime Hungary. After the war, the family reunites briefly before setting out in different directions to start new lives, and in Montreal, Leslie meets his wife, Annie, who has a survival story of her own. 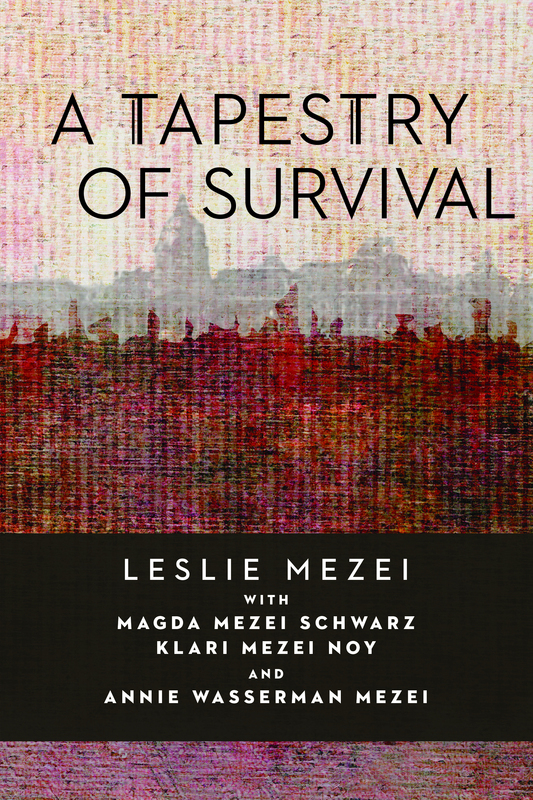 In A Tapestry of Survival the voices of Leslie, Magda, Klari and Annie are woven together to reveal a larger tale of courage, resilience and the search for healing. 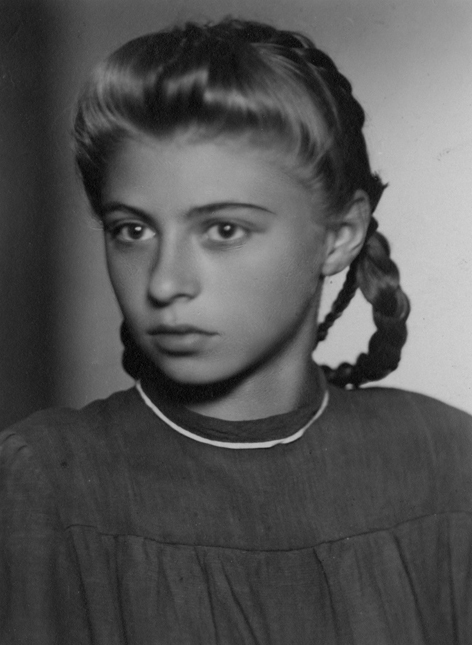 Leslie Mezei was born on July 9, 1931, in Gödöllő, Hungary. 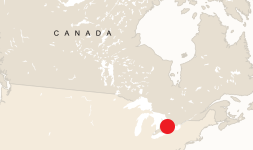 In 1948 Leslie arrived in Canada, where he completed high school and then graduated with a bachelor’s in mathematics and physics from McGill University and a master’s in meteorology from the University of Toronto. After working as a systems analyst and manager from 1955–1965, Leslie became a professor of computer science at the University of Toronto. An early pioneer in the field of computer art, Leslie’s articles were regularly published in Computers and Automation and Artscanada. He also developed two new graphic programming languages and produced innovative computer art, which was exhibited internationally. 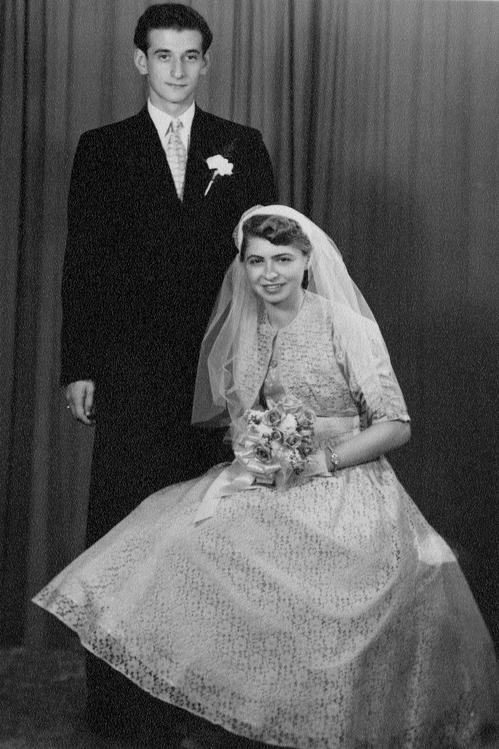 Leslie married Annie Wasserman in 1953 and raised two children with her before she passed away in 1977. Since then, Leslie has been living with his wife, Kathy, in Toronto, enjoying the time with their five children and eleven grandchildren. He has been involved in the interfaith and interspiritual movements for twenty-five years and has been the recipient of five awards. 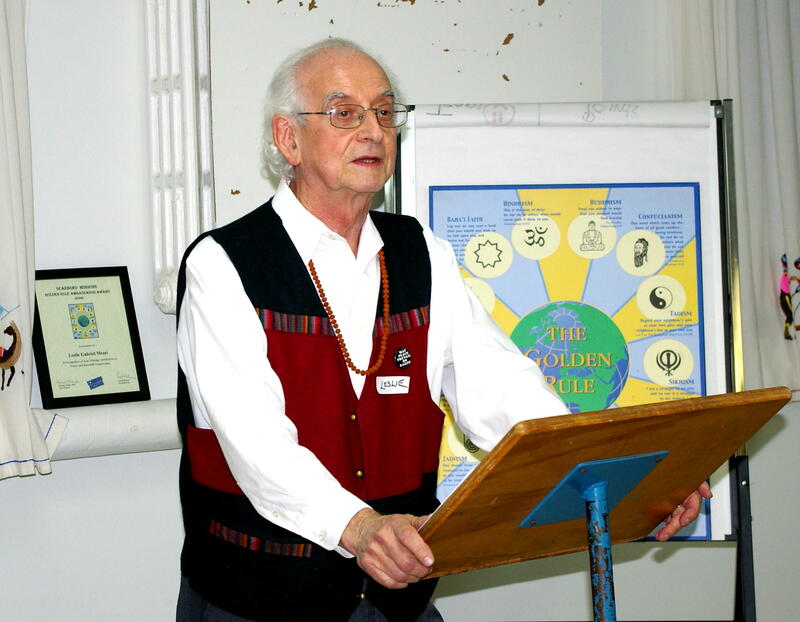 For a number of years he published the Interfaith Unity News, with a mission to promote the message of unity in diversity. 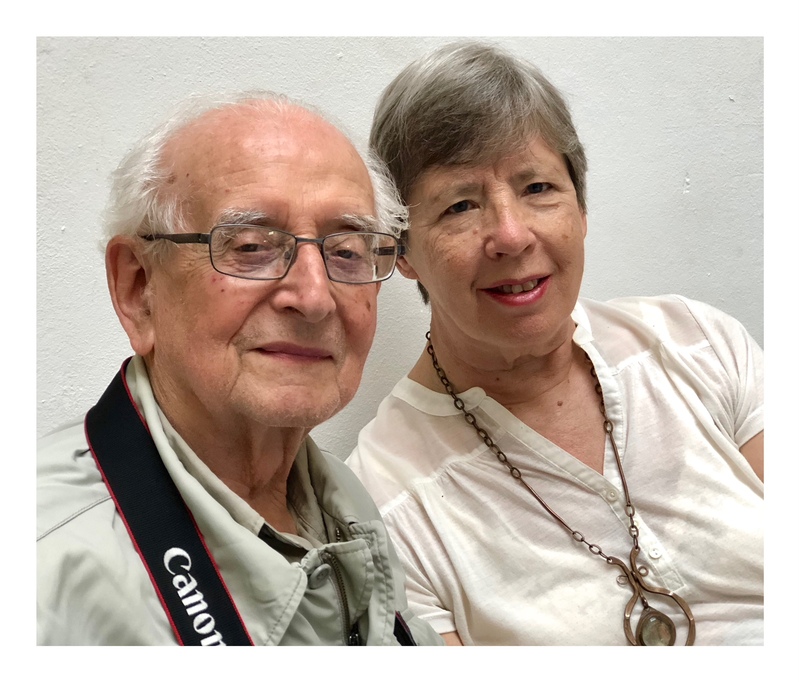 Leslie’s parents, Julia Katalin Engel Mezei and Dr. Mano Mezei (born Messinger). Hungary, 1920s. 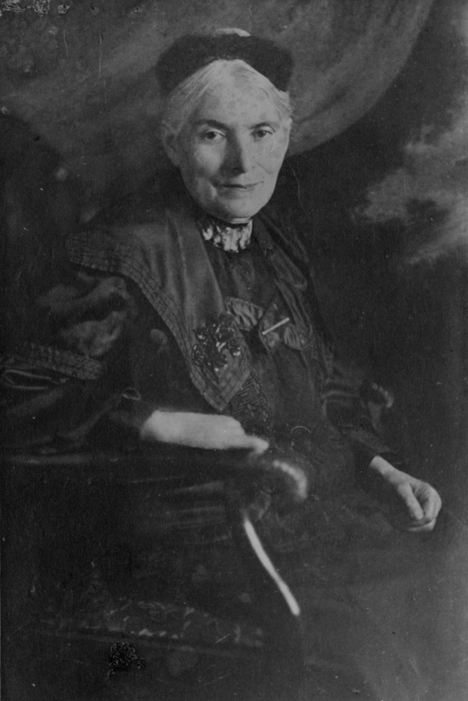 Leslie’s paternal grandmother, Maria Felsenburg. Hódmezővásárhely, Hungary, 1937. Leslie (right) with his brother Louis (Lali), holding their nephew, Adamka. Budapest, 1944. Leslie’s sister Klari. Budapest, 1944. 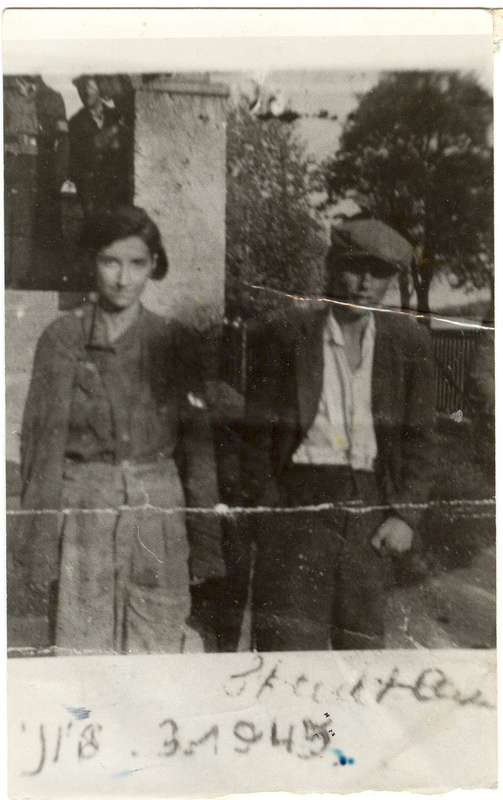 Leslie’s sister Klari, after liberation from the Mauthausen concentration camp; man unknown. Mauthausen, Austria, 1945. Leslie’s sister Magda (Miriam). Munich, Germany, 1946. 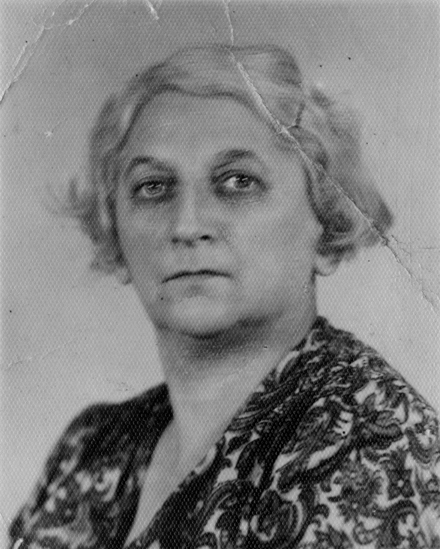 Leslie’s mother, Julia Mezei. Israel, circa 1950. The armband Leslie wore on his way to Canada. January 1948. Leslie’s future wife, Annie. Paraguay, 1948. Leslie and his soon-to-be wife, Annie. Montreal, 1952. Leslie and Annie at their wedding. Toronto, 1953. From left to right (in front): Leslie’s wife, Annie, holding their daughter, Frances; Annie’s cousin Fela, holding Leslie’s son, Michael; Leslie; and Annie’s uncle Izsio. 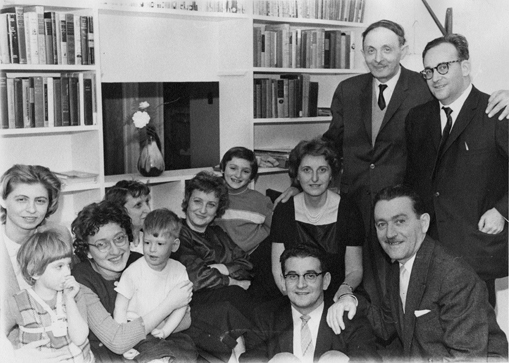 From left to right (in back): Annie’s mother, Ziuta; Annie’s aunt Lola; Annie’s cousin Eva; Annie’s aunt Mila; Annie’s father, Dr. David Wasserman; and Leslie’s brother Louis. Toronto, 1962. 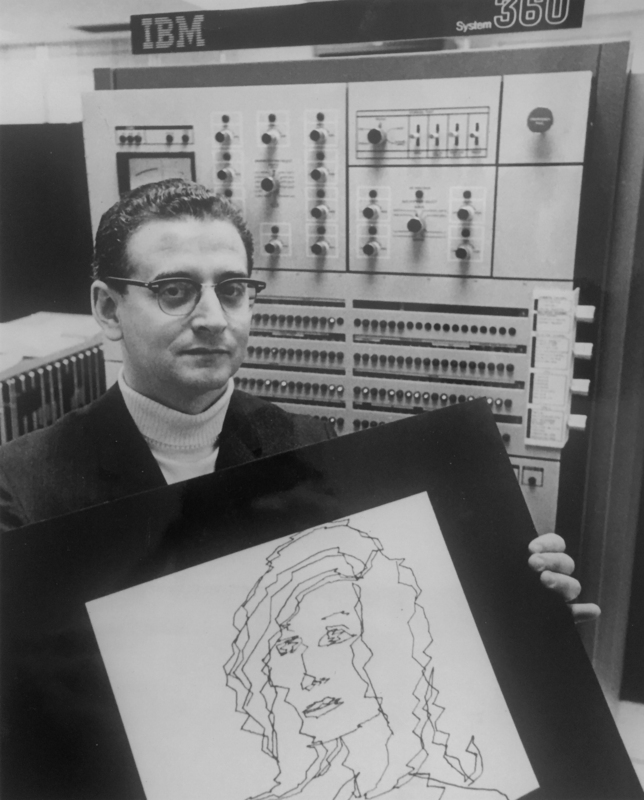 Leslie in front of a computer with his pioneering computer art. Toronto, 1967. From left to right (in front): Leslie’s sister Magda (Miriam); Leslie’s mother, Julia; and Leslie’s sister Klari. Standing (in back): Klari’s daughter Dorit; Miriam’s daughter, Nava; Leslie’s brother Louis; Louis’s wife, Tara; and Klari’s daughter Tami. Jerusalem, circa 1970s. Arriving in Haifa by boat. 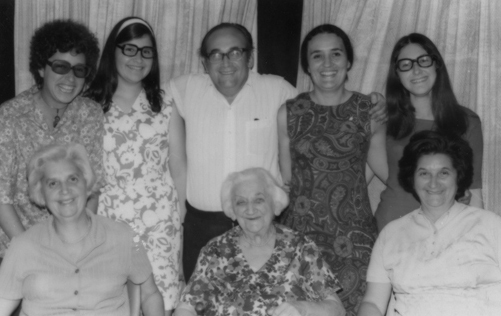 From left to right: unknown; Leslie’s wife, Annie; unknown friend; Leslie’s sister Klari; Klari’s daughter Tami: Leslie’s daughter, Frances; Leslie’s son, Michael; Leslie’s sister Miriam; and Miriam’s daughter, Nava. Israel, 1971. Leslie with his sisters, Klari and Miriam, and his brother Louis. Jerusalem, 1993. Leslie with the then resident of his family’s old home on Horthy Miklós Ut. Gödöllő, Hungary, 1991. 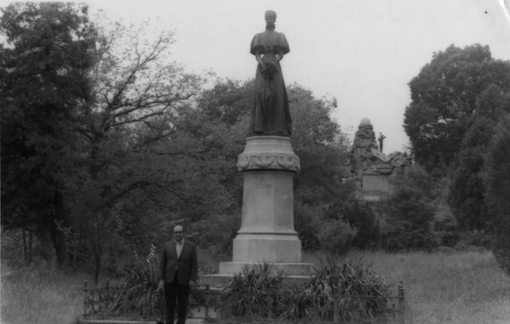 Leslie’s brother Louis at Erzsébet szobor, a statue of Elisabeth of Hungary, Empress of Austria (“Sissi”), in Erzsébet Park. Gödöllő, Hungary, 1995. Leslie at a memorial rock formation erected in honour of Erzsébet Királyné, Empress Elisabeth of Hungary, in Erzsébet Park. Gödöllő, Hungary, 2000. Leslie receiving the Scarboro Missions Golden Rule Ambassador Award. Toronto, 2006. Leslie at the altar of the Universal Worship Service. Toronto, 2010. Leslie with his son, Michael, and his daughter, Frances. Toronto, 2015. The children of Leslie and his wife, Kathy. From left to right: Leslie’s son, Michael; Kathy’s son Patrick; Leslie’s daughter, Frances; Kathy’s daughter, Rean; and Kathy’s son Sean. Toronto, 2015. Leslie and his wife, Kathy. Morocco, 2018. There were many close calls, and I think it took quick thinking and miraculous escapes to survive those times, as well as a strong will to live. 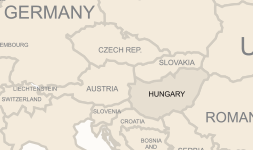 One day I went to visit a friend in the apartment house in which we had first lived when we fled to Budapest. While I was there, a troop of Hungarian soldiers came in to the centre courtyard of the building and were lining up all the Jews to take them away. I started walking toward the exit gate. A soldier stopped me. “No, I’m not,” I said. An officer came by, and the soldier told him my story. “Aw, don’t bother. Let him go,” he said. And I replied cockily, “To err is human,” and walked out to freedom. I was so proud of my cleverness that this story later became my first piece of published writing, in my high school yearbook. 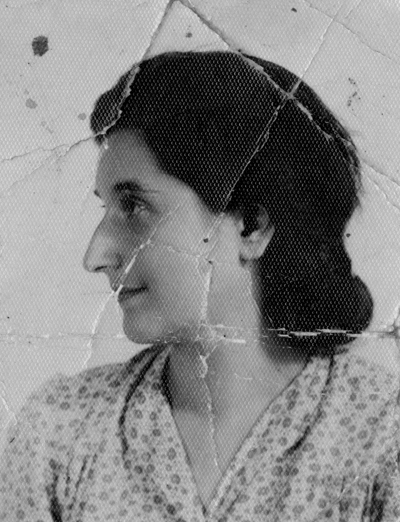 It is only in the last few years that I allowed myself to realize how close I was to being taken away by the Hungarian soldiers; my family would never have found out what had happened to me. There were many close calls, and I think it took quick thinking and miraculous escapes to survive those times, as well as a strong will to live. But I was not aware of these things at the time. We all just did what we had to.